Falveys Caravan & Mobile Home Park is located in the beautiful village of Glenbeigh on the magnificent Ring of Kerry and just two kilometers from the blue flag beach of Rossbeigh.The park is unique in that all the sites are layered so everybody has a view of the castle and forest across the way. This also adds extra privacy to our guests. 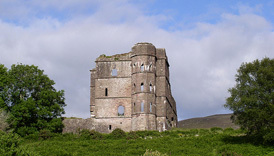 We are situated right in the heart of Glenbeigh on the world famous Ring of Kerry. 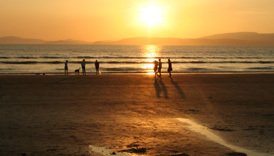 We are 5 minutes from the amazing beauty of Rossbeigh beach which is ideal for walks, horse riding, fishing and surfing. Falvey’s caravan and mobile home park is renowned for its quiet and friendly atmosphere which makes it ideal for families. We have a very strict policy on who we leave in to the park and a vetting program is in place to keep it safe and secure. 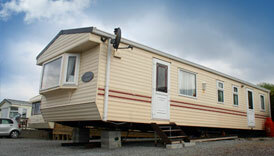 Falveys mobile home and caravan park is situated in the picturesque village of Glenbeigh on the Ring of Kerry. View the gallery of images to see the spectacular views surrounding our park.